After looking through her ever growing collection of pebbles Minnie decided to give some of them a little personality. 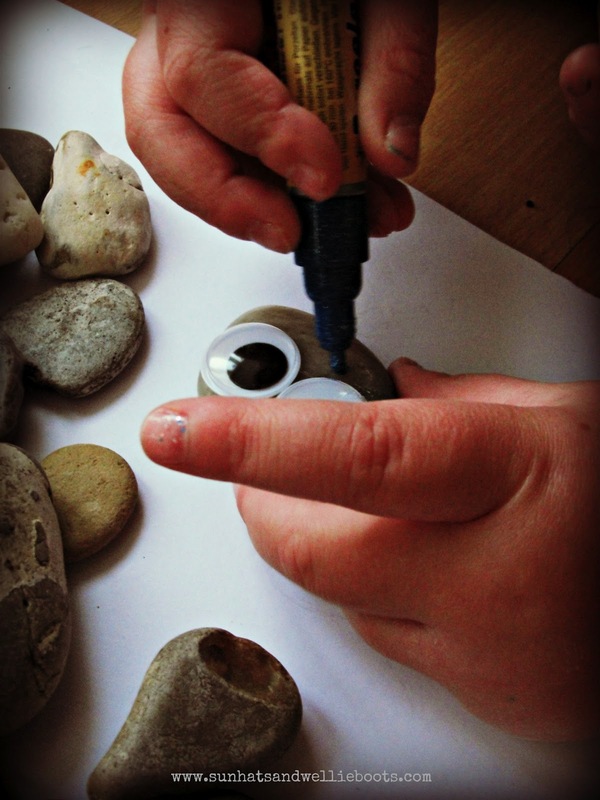 She grabbed the googly eyes we'd been using for another craft & our set of pens for glass & ceramics & set to work creating her pebble people! 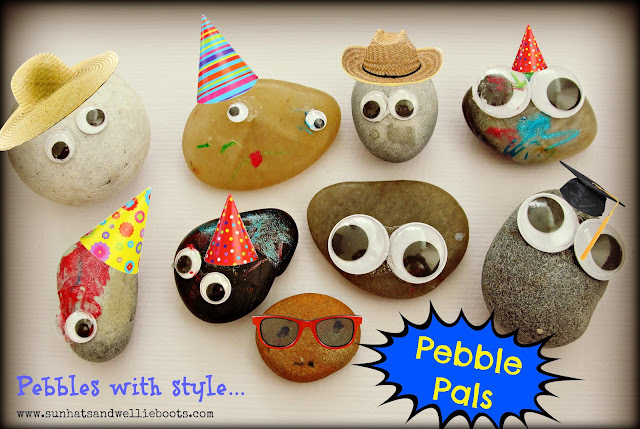 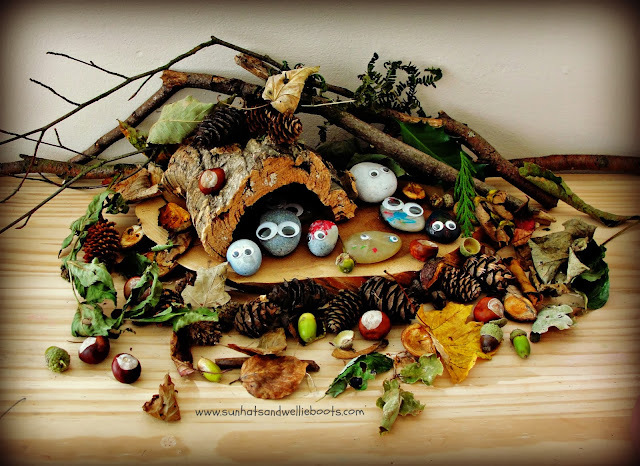 These pebble pals have been played with so many times & taken on numerous adventures around the house & garden! Then with a little help from a photo editing site (& me) she dressed them ready for a party! 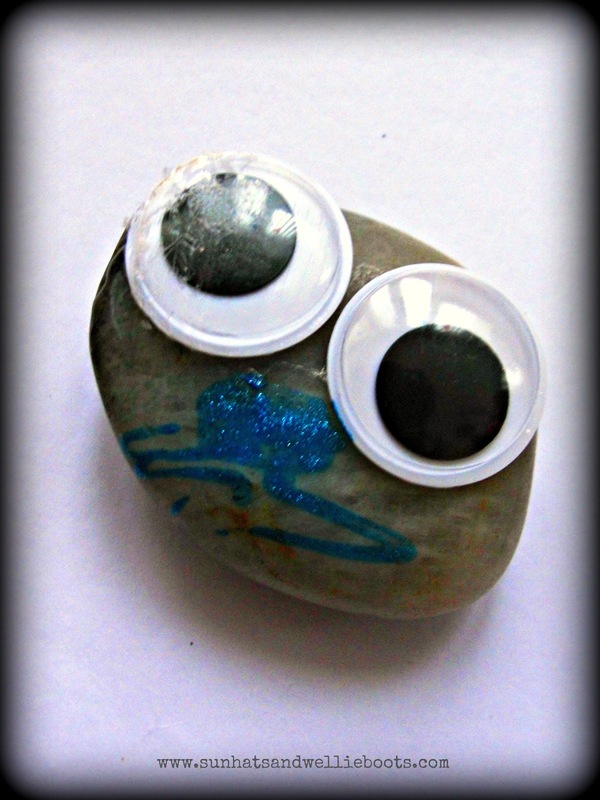 Oh sooo stylish - these pebbles rock! 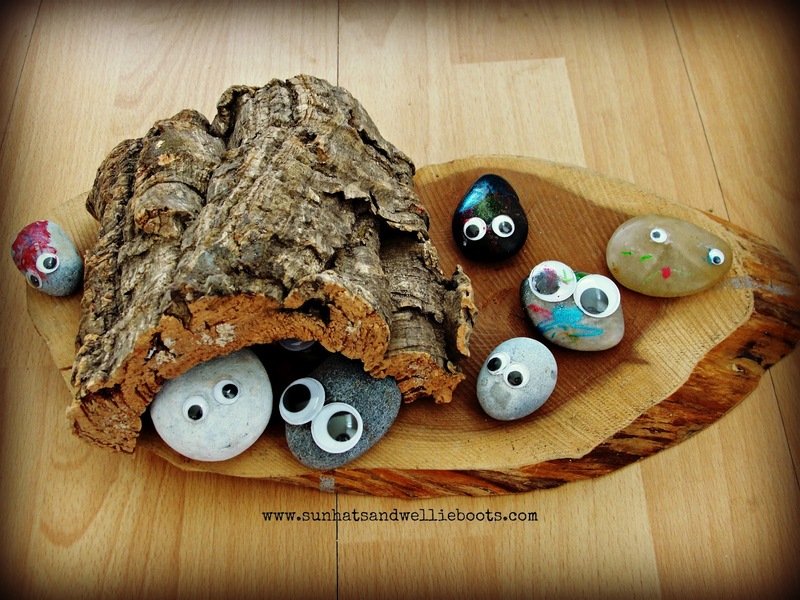 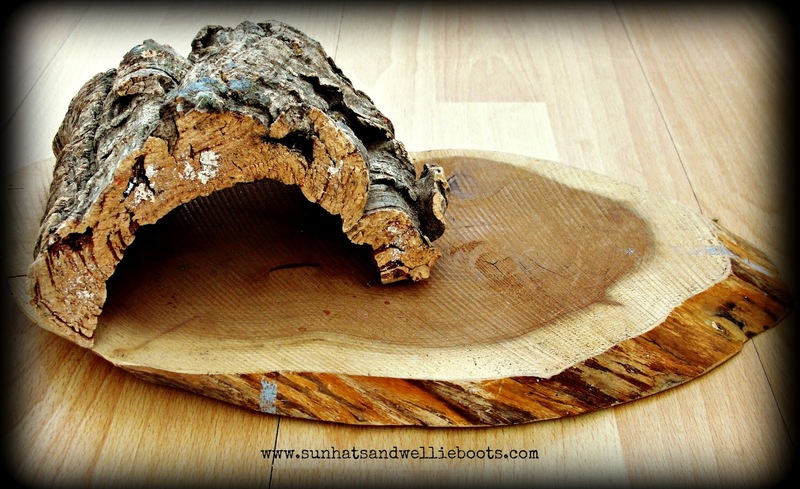 A simple activity which can help encourage creativity, imagination, storytelling, ICT skills, & provide an opportunity to explore emotions as well as new & familiar situations.